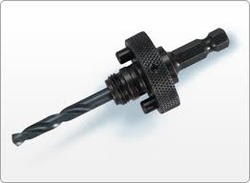 We offer to our clients Ceratizit Cutting Tools that are made as per the set industry standards. Our tools are unmatched in quality, accurate in design, and are acknowledged for smooth finish. With our sustain efforts, we are offering best and excellent quality array of Cutting Tool Blade. These blades are acquired from best vendors. Our vendors are best in this realm. They are steel made and available in stainless finish. They are available in many specifications. They are easy to install and high in functionality. Our clients can avail from us Face Mill Cutters, which are used in finishing cast iron, aluminum, stainless steel and special alloys. 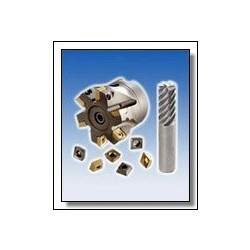 These mill cutters are offered to the clients in different sizes and specifications. Our cutters are suitable for heavy roughing, mold and allied applications. We also offer these mill cutters to the clients at cost effective rates. We provide to our clients best quality Rachad. PERIVO was the first, so without supplement), to use hardened and grinded inox (stainless) material for chase plates and cutting plates. The products matches all the required standards and remains unbeatable among its competitors in many applications. Profile cutters are devices which are fabricated with great precision. These are made of good quality raw material to ensure durability in the long run. Our Product is far better than other cutters available in the market. These are corrosion resistant and deliver excellent output even in harsh conditions. Manufacturer & Exporter of Cutting Tools for Industrial work. Our product range also comprises of Rangoli Patterns, Industrial Hardware and Precision Measuring Instruments. Karan Industries also make special types of tools which are suitable for increasing your productivity .